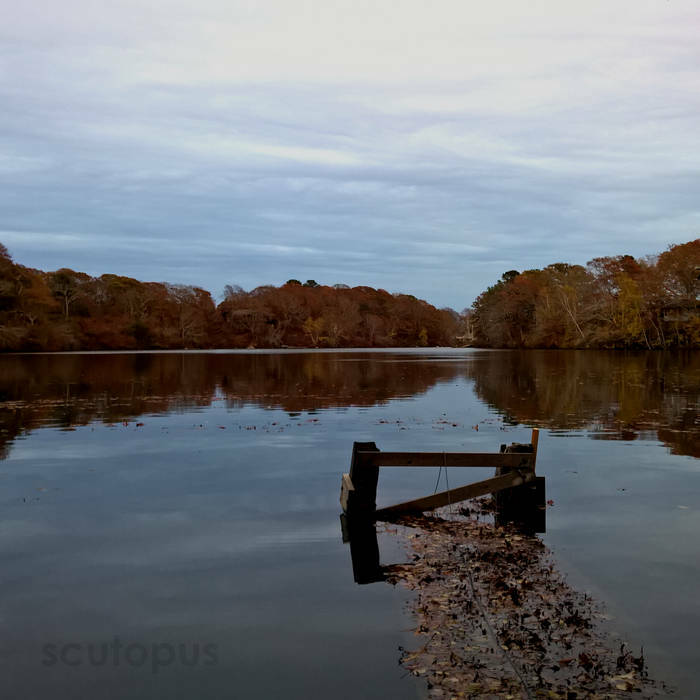 This field recording is a single, hour-long, monaural hydrophone (underwater microphone) recording of the sounds at the edge of the north basin of Oyster Pond in Falmouth, Massachusetts. The dock where I placed the hydrophone is off of Ransom Road, and is close to some wonderful conservation lands which protect the headwaters of the pond. I am unsure of the exact depth of the hydrophone for this recording, though the water is not likely more than three feet deep at the end of the dock. The sounds on this recording largely consist of short percussive sounds of various textures and sources, with the occasional sound of chewing. The one hour duration of the recording allows the listener to get a better sense of the underwater sonic environment in the area of the hydrophone. The recording was made on November 7th, 2015, between 3:45 and 4:45 pm. Twilight was beginning to fall near the end of the recording, and as it did I could see what looked like small fish jumping out of the water and making small splashes, possibly to feed on insects. Headphone listening is recommended to catch the subtle sounds, as this recording's level is relatively low. For more information about the pond and surrounding area, please visit www.opet.org/facts.html and explore from there. Autumn dock photography: Wendell Edwards.